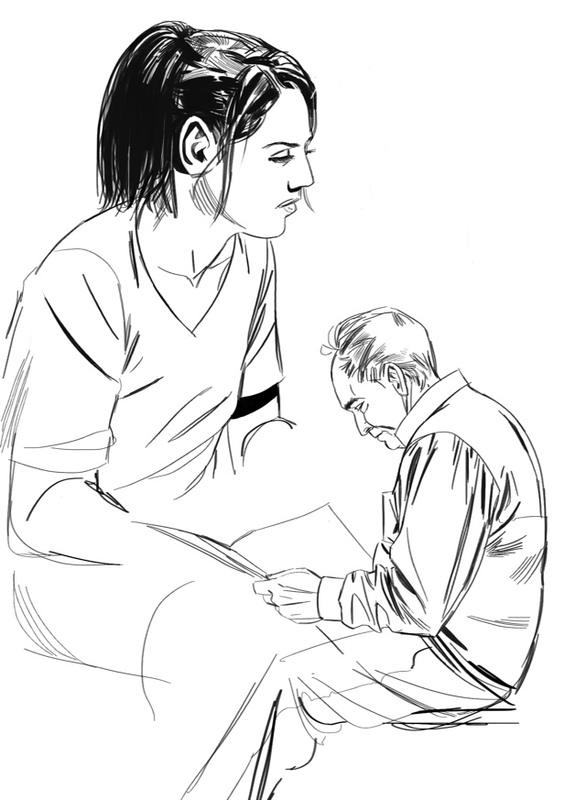 These sketches were done at a local coffee shop. Just folks hanging around. Done using the Procreate app for iPad. This is a quicker painting done on the iPad using Procreate. I cropped it and brightened it a little in Photoshop. I did this painting for my dog Sisu. He passed away a year ago. 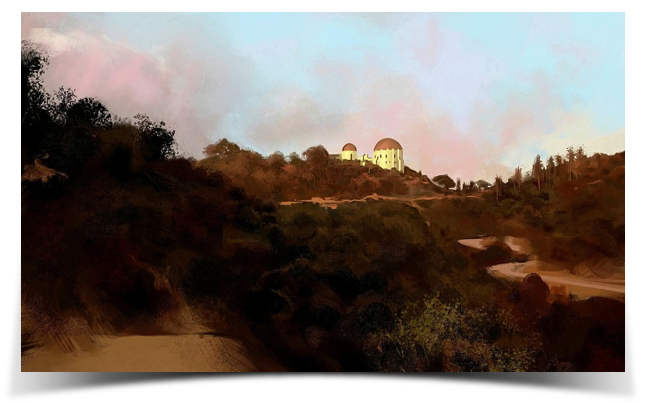 On the anniversary of the last day I had with him, I stopped at Griffith Park on my way home from work and started painting while there was a little light left in the sky. I got a rough block in done and finished it working from a photo I snapped before hiking back down. He used to come up there with me all the time. Sometimes he’d wait for me while I did little plein air sketches. He was easily one of the best friends I’ve ever had. I miss him dearly and hope he’s doing well wherever he is. The iPad Stylus We’ve Been Dreaming of? The Zeppelin Stylus! There are many different styluses out there, many of which are pretty good. The quality and function seem to be getting better and better. The Jot stylus seems to have raised the bar when it comes to precision and responsiveness but can it be raised even more? Let me introduce you to the Zeppelin Stylus. This one is currently just a dream, a dream stylus being dreamed of by many artists and note takers who are hungry for a pen input device which would let them use their iPad the way we’ve all been imagining, hoping… dreaming. The Zeppelin is a Kickstarter project, just like the Jot, which is now a very successful and workable stylus for touch screen devices. The Jot does have its problems though and there is definitely room for improvement. The Zeppelin really does appear to have a very solid design. There is a week left for the Zeppelin to meet its funding goals. This dream stylus needs backers to become a reality… otherwise it remains a dream. Head over to the Zeppelin’s Kickstarter page and check it out. If you like what you see and want to be a part of something cool and very potentially rewarding join me and become a backer! All Design, Content and Images Copyright © 2010-2019 doodles.co, inc.